modern SEO involves hundreds of factors, not just keywords, and keyword phrases, that also convert website visitors into customers. promise gradual improvement over months or even years which often never happens. I can prove or provide testimonials for any claim I make on this website. 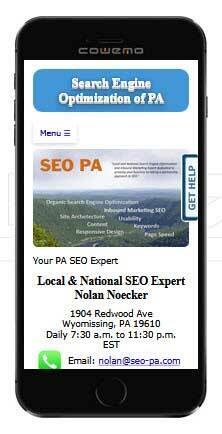 owned and run by proven independent SEO expert Nolan Noecker. developing, hosting and totally running your site with continuous maintenance and SEO optimization for a commission. When you use a job search service you’re practicing Inbound Marketing. In this case, you’re offering a solution, an SEO position, for someone looking for a Search Engine Optimization job. The applicant finds you. The information in their resume regarding SEO skills and accomplishments may or may not be true. There's a better way to find the best SEO Services. Doesn’t it make more sense to do an organic search (one that ignores paid placements) for Search Engine Optimization Services or Consulting? Top SEO Services providers put their skills to the test competing for top search position and your attention. That’s what you’re planning to hire them to do for you. Finding them is a great way to determine they know something about SEO. Most don't. Does it make sense that someone claiming to be an expert in Organic Search Engine Optimization has to resort to PPC to place well in the search results? Concentrate on organic results. I can help you screen applicants for SEO positions. I know the right questions to ask and the proof I need to see to determine if the applicant is competent. It's important to determine competency because the overwhelming majority of SEO candidates are not qualified and are more sizzle than steak. Speed is the newest key component to ranking well in search engines. I target .5 seconds on the first page loaded on my stores. Less than .5 seconds on subsequent page loads. The average web page loads in 7.5 seconds. SEO studies reveal most visitors will leave a page after no more than 4 seconds. The level of user dissatisfaction increases exponentially with every .5 seconds increase in load time. These studies are dated. I believe the average visitor's dissatisfaction threshold is two seconds. Compelling content and some degree of interactivity between the user and web page are still crucial. That's because you have 8 seconds at most to engage and motivate your visitor to stay on the page. User-friendly navigation, interactivity, and quality content helps to prolong the visit. The longer the visit the better the chance of accomplishing your goal of a sale or further contact. However, great content and interactivity can also make page sizes big and slow. There's always a trade-off between content and speed. However, content-rich interactive web pages can load blindingly fast if you know how to do it. There's no one magic bullet but rather a combination of tens of considerations that work together. Knowing how to do it comes from countless hours of trial and error and staying on top of new technology. are satisfied if the client ranks in the top 10 or even the top 30. I treat my clients' businesses the same as my own. As such, I don't want to wait months or years to rank well. I want high-ranking and the revenue accompanying high-ranking yesterday. So this is how approach SEO Services. front-end load extensive SEO work to quickly improve your search engine ranking position. Rather than a gradual improvement in search rankings, I want immediate and meaningful improvement. I'll be the first to tell you that isn't always possible. However, I want to do everything I can with what I currently have to work with to get as much quick improvement as possible. I don't worry about limiting the number of hours I work on your project early on because I'll make it up in the long-run. Since it's my own time, I don't have to worry about paying for those hours other than my opportunity cost. It's an investment on my part in your success. Up front effort demonstrates my confidence in my ability, drive to succeed, and that performance fosters long-term relationships. Successful Search Engine Optimization requires immersing yourself in the product or service. Placing limits on your time reduces productivity and effectiveness because you have to break your concentration to work on another product or service. Quick success makes it a lot easier to write that SEO Services check at the end of the month. That's because of your paying for demonstrated, tangible success and not promises. have a goal of reaching position 1. It may not always be achievable, but position 1 is always my goal and I never stop trying to obtain it. Many SEO providers try to outsmart the algorithms. They focus on keyword density, keyword proximity and other metrics whereby they compare your website to a successful competitor's site. Statistics are useful. I did and still do it myself working in my stores. However, when your main focus is on metrics, you're more susceptible to changes in the algorithms. And your copy starts to trip all over itself. Click the tab "Optimize and Write for People Not Search Engines" where I discuss this subject. Search engine algorithms have matured and become very sophisticated. Your ranking depends upon hundreds or perhaps thousands of considerations. Nobody knows what all the considerations are because it's a closely guarded secret. The goal of the algorithm is to find unique, meaningful content presented in an organized way that a human would present it. So that's what I target, and it works. measure the competition for the word or phrase. you have an established website. If you don't try you'll never earn it. 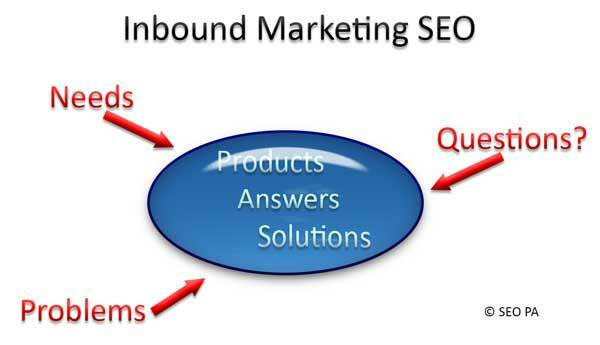 I support and endorse Inbound Marketing SEO instead of Outbound Marketing. I do everything possible to make the site as perfect as I possibly can. Some things are more important than others. However, I go after them all because you never know if shaving one more millisecond off the load time might bump you up a position. "Mobile Friendly" is an extremely important factor in determining your search engine position on both desktop and mobile devices. It's no longer an option. Responsive websites are those that resize images and rearrange content to appear organized on both desktop and mobile devices. A responsive, mobile-friendly design is critical because in most cases 50% or more of your traffic comes from mobile devices. There are two approaches to responsive websites. Dual Desktop and Mobile Optimized Pages - You can usually do a more thorough and creative presentation on a desktop computer. You have a bigger canvas. Content-rich pages load faster because you typically have a faster connection. Design a second page for smaller devices where download speed is a bigger consideration. Code redirects users to the page that best suits their device and connection speed. It's usually the best but the most expensive approach because you have to maintain and coordinate the information on two pages instead of one. Depending on your website's purpose or goal, you may not need a more comprehensive desktop presentation. Correctly coding pages eliminates duplicate content penalties. sophisticated techniques can use the same assets to produce a well-designed desktop and mobile experience. Responsive Pages - Design one page that will work for all devices. That's the approach used on this website and the approach I recommend. One single responsive page is less expensive but may sacrifice content and features that might otherwise display on a desktop version only. Most businesses use this approach because of cost considerations. Beware of responsive designs that float icons over the copy as the screen becomes smaller instead of keeping key information exposed. It looks "cool" but obscures the content which isn't cool at all. It detracts from the website's usability. On a Mobile Phone: simply rotate the phone from portrait to landscape mode and watch the images resize and the layout adjust to accommodate the new screen size. Successful businesses always focus on customer satisfaction. Your website design must focus on user satisfaction. Many SEO service providers have a gimmick(s) that they say will fool Google's or Bing's algorithm. Gimmicks might work for awhile. Algorithms modern search engines use are ultra-sophisticated and influenced by literally hundreds of factors. Gimmicks designed to earn search position come and go. You may be on page one today and on page 30 tomorrow. These gimmicks often make your page copy feel unnatural and annoying to the reader. The goal is not to just generate traffic. It's to generate sales or leads. The best way to turn traffic into revenues and profit is to present quality web copy defined in human terms. Critically important factors influencing your search position are not gimmicks. They're common sense in both human terms and algorithmic terms not as susceptible to changes in search engine algorithms. Here's a freebie. Read your web copy out loud. If it doesn't sound natural and flowing, you're writing for search engines. Google especially doesn't like that. More importantly... people don't like that. add to the content or usability of a page which affects search engine rank. You should always regularly strive to refine and add meaningful content. That's because Google, and other search engines, don't like moribund sites. Make sure it's topical, useful and well-optimized. Never add content for content's sake. Non-topical content can hurt your search engine ranking. Unlike other business processes, you shouldn't consider Search Engine Optimization to be overhead or something you have to do. 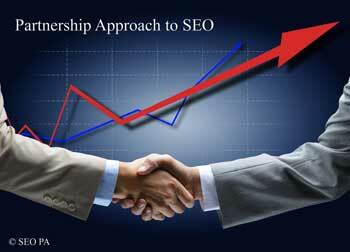 Professional, competent SEO adds profits. Dollars spent on expert Search Engine Optimization are a great investment because those dollars generate revenues over the life of your business. The first requirement for any student of digital marketing or web design should be to read "Web Usability" by Jakob Nielsen who is perhaps the world’s foremost expert in UX (User Experience) as it relates to web design. The typical so-called “Modern Website” violates many and even the most fundamental concepts. Visit nngroup.com, read some of their articles. Compare their findings and recommendations to your website, your current SEO provider's website, or web developer's website. Hundreds of things affect web usability. 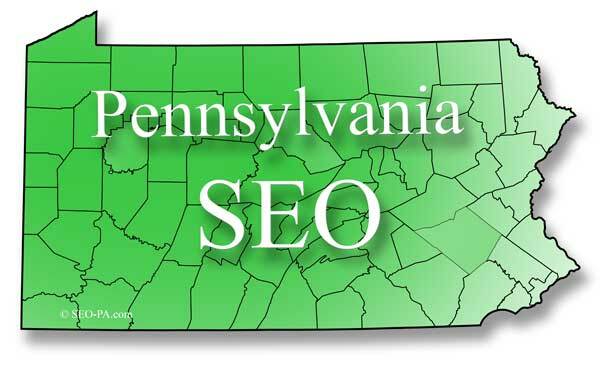 I'm located in Pennsylvania but provide National Search Engine Optimization Services to companies throughout the United States. The website review is a first step to getting a handle on where you're currently at and what it would take to improve. It's important to understand upfront that Search Engine Optimization and placing well in search results involves a lot more than keywords and key phrases. Some SEO businesses offer to give you a free website review. I don't. My professional time is valuable, and I charge for it. If you're dissatisfied with the review, you don't have to pay. I give you my professional opinion, and we can then discuss, as experienced businessmen, the best way to proceed or to proceed at all. Search Engine Optimization is an integral part of designing a new website. When I talk about SEO here, I'm talking about improving the search position and productivity of an existing website. Optimizing your current website is like remodeling a house vs. building a new one from scratch. Here are some things to consider. Given the same level of SEO and Internet Marketing expertise, a website built from scratch will always, or almost always, outperform an optimized existing website. Businesses who have invested tens of thousands of dollars in their existing websites are reluctant to hear about changes. People currently responsible for websites have put their hearts and souls into their development. Developers often treat them as children and are loath to make any changes. Fortunately, there are some ways to improve your search position without drastically changing the existing website. However, you won't be obtaining the optimum results. 80% of SEO projects involving existing websites fail because of politics. All the steps listed under New Websites apply to Search Engine Optimization but with the addition of Topical Analysis which a part of considering the effectiveness of the existing web copy and web content. The best time to optimize a website is before a single line of code is written. Too often businesses choose a design without considering the needs of the customer or the resulting response time of the website. The steps below are interactive, and each considered simultaneously while developing a website or webpage. Optimizing and tuning websites and web pages require revisiting tasks. 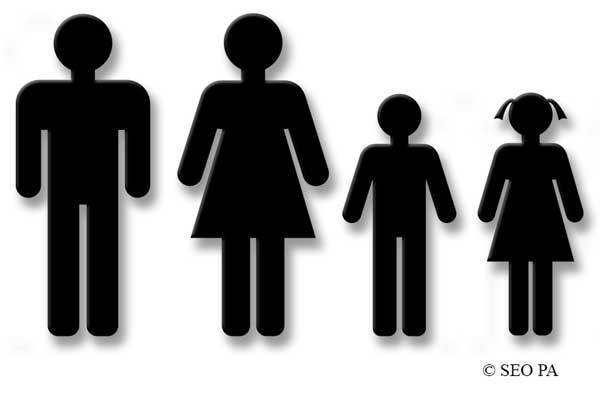 What are their needs that our products or services fulfill? What problems do our Products or services solve? What words customers are most likely to use to find our product or service? What words our customers are most likely to use to describe their problem or needs for which our product or service offers a solution? Over time we will build content around keywords that are less often or likely used. How do we structure the website incorporating web usability to enable the customer to quickly find what they're looking for in three clicks or less. First and most importantly, site visitors quickly and easily find answers to their questions and needs. Imagine going to the Mall of America and having no kiosk or online directories to tell you where the stores are. Now picture that same scenario but with your eyes closed. That's what it's like to use a website with poor navigation. Visitors get lost, frustrated, and quickly leave your site. Writing web copy and web content are completely different from writing for any other media and is an art developed over time. You want to use keywords and key phrases in your copy and content. However, above all, the copy has to sound "natural" and not trip all over itself. That's what happens when you write for search engines instead of people. A sitemap is essentially a list of all the pages on your website. The sitemap is then uploaded to the search engines to help them find and crawl your pages. It does not guarantee they will include your pages in their search results. Generally Google and the other major search engines will crawl the content of your sitemap within 30 days. You can adjust the days to revisit the page in the sitemap. However, we can discuss why that's not always the best idea. I can manually request that Google crawl specific pages immediately. Revisit any one or all of the prior steps. SEO is a process, not a project. Continue to add useful, topical content. Also, don't be afraid to add content as fast as you can. A competing SEO provider I respect warns against adding content too fast. Put yourself in Google's shoes. Detecting a site adding lots of well-written, useful and original content shows initiative and hard work. Your budget or time may limit the amount of new content you can produce. However, make every effort to add some content at least monthly. However, always make sure the content you add is useful and high quality. Note that surges in the number of inbound links do appear unnatural and Google will most likely penalize you. Verify your position in SERPs (Search Engine Results Pages) and take necessary corrective action. You may wonder why I show Link Building before analyzing and tweak. That's because great content generates legitimate, high-quality links. The workflow in most higher end SEO companies revolves around adding content. Most times they source "stock" content on a particular subject. If you're lucky, they change it up a little bit, so it doesn't trigger plagiarism flags. 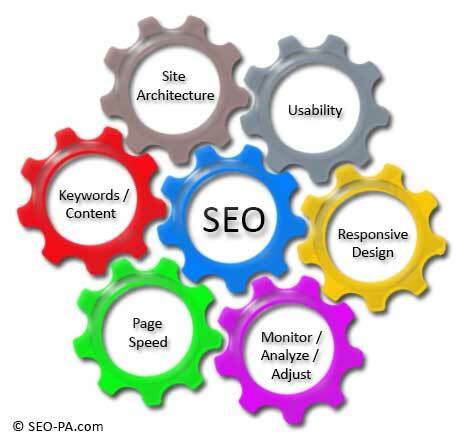 SEO specialists then review copy to embed targeted keywords or key phrases. Now they're done. What potential need does this page or post actually target? about something somebody not already an expert on the broader topic would be searching for or interested in reading? a subject that normal people would even recognize as being something they want or need if it shows up in your recent blog posts? Most times the answers to these questions are no. Is the content written using words your potential audience understands? Many times the stock material is written by experts in a particular subject. However, they use words that are meaningless to the person seeking the information. They don't understand what they're reading, and they leave. primarily written in active vs. passive voice? have a readability level your potential customer or client can comprehend? How professionally have the keywords and key phrases been incorporated into the content? Read the content out loud. Does it sound like a normal human would talk? So often it trips all over itself in an obvious attempt to stuff keywords and key phrases in the copy. Pages like this insult the reader's intelligence and they quickly click away. How often do visitors, assuming there have been visitors, leave a comment? Have any visitors, other than your SEO provider, ever left a comment on your posts? It's amazing how often the answer is no. Are We Adding Content That's Both Topical and Useful? Everyone involved with SEO knows or should know, well-written targeted content is critical. Here's why so many SEO services create non-targeted, poorly-written content. smoothly and naturally embed keywords and key phrases into the copy. The ability to create good content comes with lots of experience. Experience is expensive. So now you know the warning signs of substandard SEO and Internet marketing. Although not excusable, you know why it happens. So if you find any of the above to be true, here's a final question to ask yourself. Why do I have to point out SEO shortcomings to my SEO Services provider? I'll help you answer that one. You shouldn't. That's what you're paying them to do. 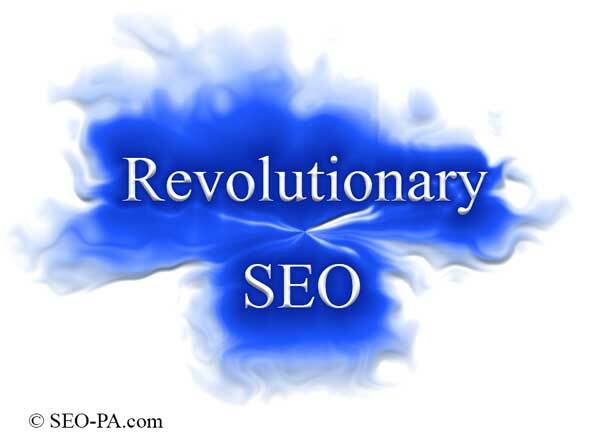 I'm a proven independent SEO Services provider and consultant. I have very little overhead, so I can afford to devote as much time as required to do the job right. I never sacrifice quality to meet the bottom line. I have the experience to know how and what it means to do the job right. SEO Services Anywhere in the U.S.
Will I have to modify my existing website? Yes. You will have to change a few things and sometimes prepared to make extensive changes. That's part of the process of Search Engine Optimization. The best time to begin Search Engine Optimization is long before the first page is coded. Can you guarantee a top position in Google Search? No. No one can. I can guarantee significant improvement. I can guarantee visitors will spend more time on your website and higher conversions or leads. However, there are uncontrollable factors that influence placement. Why don't you use PPC to market your SEO Services? I'm claiming to be an Organic Search Engine Optimization Expert. What message does it send if I have to use PPC for you to find me? How long does it take to see an improvement in the search results? It depends. The standard answer is weeks or months. Without making any false promises, I think you'll see some improvement almost immediately if you follow what I tell you to do. That's because you can manually request a page(s) be in indexed instead of waiting up to 30 days for indexing to occur automatically. Google SERPs reflect the impact of changes far faster than in the past. Did you ever make a change that adversely affected search position? Oh yea. In the short run, absolutely! However, that's part of the challenge and frustration of SEO. There's always an element of risk when you make a change although here's a lot less risk when you know what you're doing. That's why you always have multiple backups that span several days so you can restore things in a hurry if, or when, something goes wrong. Some SEO providers stop trying to improve your position because of the risk. However, the reward of moving up in the search results is exponential, not linear. That's especially true if the search position bump up puts you "above the fold" so no scrolling is required. Are you saying that organic search is all I need to worry about? and adding high-quality, relevant and useful content. Other SEO areas like social media and link building will naturally benefit as well. Like all things SEO, the value of a blog depends on the product or service. There is tremendous value in exploiting other high-volume established blogs using low-cost, quick and proven Inbound Marketing strategies. I've seen some websites that I consider to be horrible, break every rule you taught me, and still rank at the top of search results. How do you explain that?" I can't. Welcome to Search Engine Optimization. I have seen websites listed as "Coming Soon" show up at the top of search results... for a short while. Other websites violate all the rules and show up in the top ranks. My advice is to ignore these sites because your customers will. Most bad pages will disappear from top search engine results over time. However, I have seen some bad web pages that don't disappear. Some quite knowledgeable people think that some websites get a little "manual help" to achieve their position. It is what it is. Don't let these exceptions distract you. Also, don't let these isolated cases make you believe that Search Engine Optimization is a waste of time because it isn't. I've seen SEO services offered for as low as $99 to optimize my website while others can charge thousands of dollars. Why is there such a large difference in cost? Cheap Search Engine Optimization Services are the most expensive Search Engine Optimization Services you can buy. Here's why. The process of researching key phrases, keywords that both generate traffic and sales, can take several hours alone... tens of hours for a large website... and that's just the first step. What quality of work would you expect for $9 an hour assuming that they do any work? Some SEO Service Companies outsource to a country where workers earn a few dollars an hour. Even assuming those people have advanced degrees, the probability of getting meaningful results is very low. That's because you must know the language intimately to perform Search Engine Optimization. Knowing the language does not mean studied it in school. You have to know the words people use when they speak to one another. You know you don't get that from a book. Remember the conversation you had the last time you needed tech support for your computer? Another consideration is this. If you really can do Search Engine Optimization and do know how to market on the Internet, which can be worth millions, why would you be doing it for someone else? Why would you do it for $9 an hour? In my case, why would you do it at a professional rate? I asked myself this question, and the answer is that I would be crazy not to build my businesses. So I did build my businesses. The reason that I still do Search Engine Optimization at all is that I love doing it. Lastly, Search Engine Optimization is just one piece of the puzzle. Once customers arrive on your website, you have to convey your message quickly. You have to write copy that ethically convinces them to buy your product or service. Should I be looking for a Search Engine Optimization firm that specializes in my industry? Yes and no. If your Internet market is local or even regional the answer may be yes. They should know about high-quality keywords and key phrases and should understand the market. However, if your market is national or international, and the SEO Company has competing clients, there's an automatic conflict of interest. You're paying someone who is working for and against you. What if they try something new with your website and you achieve top position in Google? Do they not incorporate that same tweak in other clients' websites who are also paying them to win that same top position? Conversely, what if it's your competitor that received that tweak and they have the top position. How are you going to feel about writing that next check to your SEO provider if your SEO doesn't deploy that tweak on your website? No matter what they do, it's a guaranteed conflict of interest. It's an important question to ask any Search Engine Optimization firm before you hire them. I will not take on competing clients because there's no ethical way to do it. The .com boom is over. Is it worth investing a lot in Internet Marketing? There is incredible opportunity marketing on the Internet. The only difference now than in the so-called .com boom is that now you have to earn it. No other medium offers the opportunity to target your product or service to people specifically looking for that product or service. No other advertising medium is as cost effective. Do you support Pay Per Click advertising? I concentrate on organic search optimization where you earn the right to appear at the top of the search engine results, and it's free (to me because I learned SEO). With PPC, those clicks add up in a hurry, and I felt like I was working for them. I didn't see a commensurate increase in profits. It must work to some degree because all the "big guys" seem to do it. If you're good at SEO, why not just start your own online business? You would! And, I did and I still do! When you offer a service, you're paid once, usually very well, for your effort. When you expend those same efforts for your enterprise and are successful, the marketplace pays you multiple times for your efforts. You're paid a lot less per transaction, but forever. There is always maintenance and tweaking. However, it's a no-brainer. I offer SEO services as a means to raise working capital for my successful online businesses. Just as you are very careful about whom you hire, I'm equally as careful about whom I work for and with. That's because I treat my clients as partners and their businesses the same as if they were mine. I take the "Field of Dreams" approach to Link Building. If you put valuable content on your site, the links will take care of themselves. That's how Google intended the process would work from the beginning. I put my money and time into content and performance. Once I have a great site up and running, you can usually get a link from main suppliers and related sites because it's legitimately benefiting them and their site's visitors associating themselves with your website. Are you the #1 SEO Company? Sure, why not? All my competitors say they're #1. 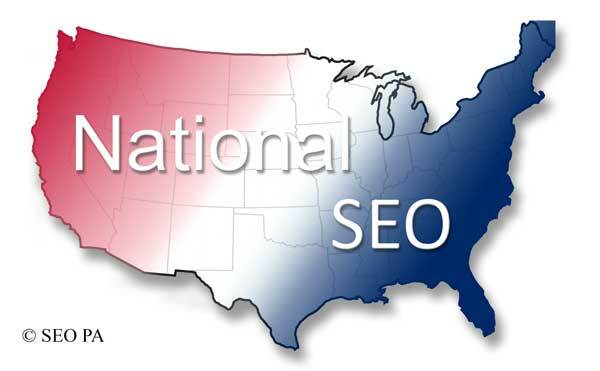 Seriously, I'll take on any other SEO Company in the U.S. I have spent most of my career running businesses. I realize that the goal is to make a profit and that requires making every penny count. I can get things done quickly because my overall skill set enables me to do just about anything I need to do as the need arises. 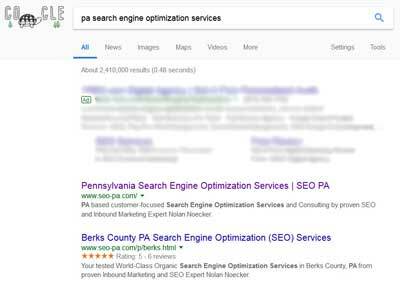 Search Engine Optimization of PA offers guidance to any size company dedicated to growing their revenue and bottom line via smart Internet marketing. Although I'm in Pennsylvania, I support clients nationwide. You will benefit from my extensive experience in running a business in addition to comprehensive knowledge in Internet Marketing. You will soon discover that I consider my relationship with my customers a partnership and not a consulting arrangement. Just as you closely consider the qualifications of SEO Services and Internet Marketing Providers and Consultants, I evaluate the probability that I will be successful in growing your business. That's because 80% of all attempts to improve Internet marketing, and particularly implementing Search Engine Optimization, fail. There are plenty of SEO Firms who will be happy to take your money regardless of the probability of success. I'm not one of them. I want you to succeed, and I want to succeed. You'll benefit from my experience because I run Internet businesses. You've got to have extensive, hands-on, real-world experience before you can teach someone else to do anything. Moreover, in my experience hiring consultants, there's a world of difference between those who have done the work in a work environment versus those who have read or talk about it. There are many unethical SEO Service Providers. These firms use tactics that may show success in the short-run. However, those tactics may ultimately get your website delisted. Tricks don't work in the long-run. I use only ethical tactics because you don't have to use tricks if you know what you're doing. If you are an ethical, open-minded organization offering high-quality products or services, I look forward to helping you grow your business. Thomas Edison said he discovered 1,000 ways not to make a light bulb before he was successful. I did the same thing but with SEO. Let me help you avoid most of the 1,000 ways not to do SEO. Here's how. When I started my online stores, I did not use SEO Services or Search Engine Optimization Consultants for two reasons. I couldn't have afforded them even if there were available. So I tackled it myself. You learn to be effective at marketing online by actually doing it. I read all the books that were available at the time and continue to stay on top of the most recent trends. I used many tools to analyze and compare metrics like keyword density, keyword proximity, and many others. While these things help, proficiency at Search Engine Optimization comes through experience and is as much an art as it is a science. I found that focusing on metrics led to web copy that was uncomfortable to read, especially when reading out loud. There's that little voice in your head telling you "something is wrong with this web page". And it is! Because you're writing to try to please an algorithm, not people. You'll also find that pages optimized based on metrics are the most vulnerable to a change in search engine algorithms. I combine my knowledge of web usability, graphics design, web copywriting, Search Engine Optimization and web acceleration to help you design extremely fast, user-friendly websites that generate both traffic and sales. My approach is somewhat different from most SEO Services because my emphasis is on enhancing the value of the website in the eyes of the customer by providing valuable information in an organized, easy to navigate format.